Google is getting smarter everyday and it is not easy today, to rank a website or page on Google search results. There are various considerations, which webmasters must give attention to, for ensuring that their websites and blogs are ranked by Google in its search engine results. Google uses algorithm, to rank a page or content in search results. You might have noticed that whenever, someone searches or enters the keywords on Google search bar, different results are displayed from different websites. Do you know what Google wants in general from you as webmasters? Usually ten pages from different websites or blogs are displayed by Google in search results, related to the relevant search query. Maximum traffic is diverted on the first 3 or 5 search results, because people click on them first. It always remains the dream of every website or blog owner, to get the first page ranking on Google, to get the significant amount of traffic, on a website or blog. This direct traffic from search engine is known as organic traffic or real traffic. It is also said that websites, which are displayed on the first page of Google search results, are worthy. This is because Google displays that information or content, on the search results, which are having sufficient and quality back links. This is why, every blogger or website owner, takes measures and actions, to get the quality back links, for the websites. 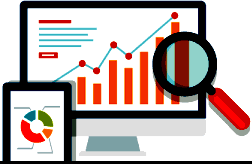 In simple terms, we can say that those websites and pages are usually ranked, that have sufficient network of links, in the back of that website, that refers to a website or content. Google crawls the website through crawler, to identify and scan webpages, from one link to another. Google crawls the websites and content through the Googlebot or Spider. 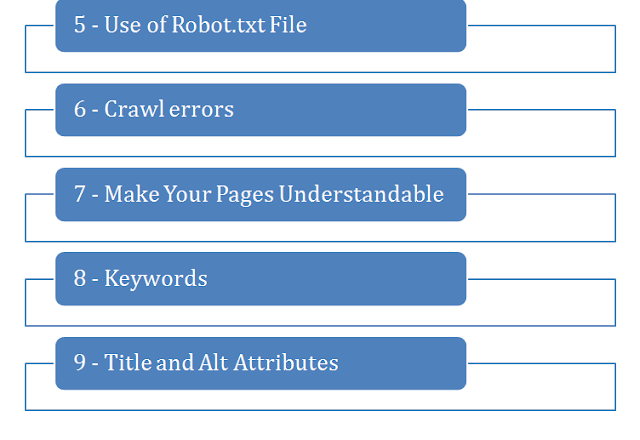 The crawling starts with the webpage URLs which are supplemented with website's sitemap. Through the crawling process, Google identifies new and fresh or updated pages, to be ranked. Billions of pages are crawled this way. Links such as HREF and SRC are detected by Googlebot, which are added to the list of the pages to be crawled. This way new sites, dead links etc are noted and Google index is updated. To rank a website or page on Google, search engine optimization SEO, plays a significant role and producing the backlinks is one of the component of SEO. 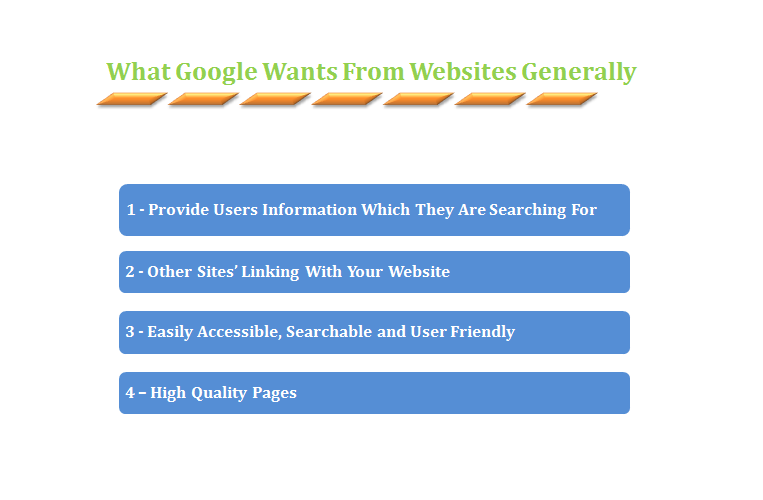 In this article, i am going to share content, which will be important from ranking a website or page, on Google search results. You have to help Google in finding your pages. For this there are important steps and actions, which you as a website owner, must have taken, to get your website easily identifiable by Google. All the pages on your website should be reachable from other page through a link. For this a referring link is created,which may be in the form of text, content, images, alt attribute etc. You have to provide a sitemap file of your website. You can search how to create the sitemap for your website on Google. The important thing here is to know that Google considers it important fr a website or blog to have a sitemap. There should also be a page on your website, where all the links to the pages are placed in a human readable form. 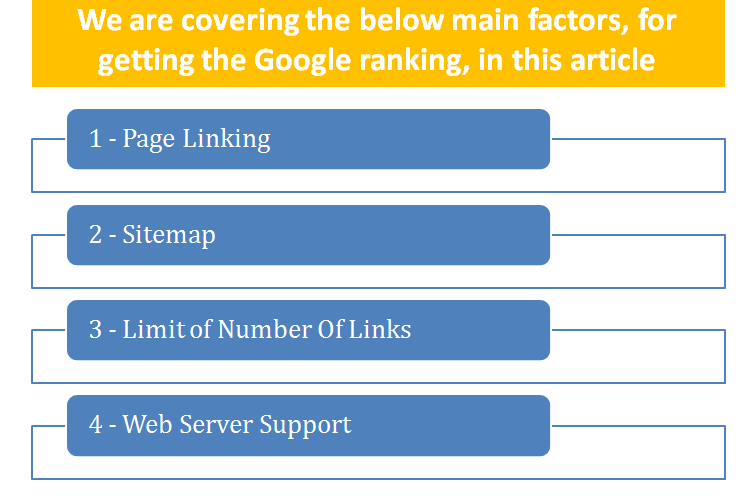 Number of links on a page must be limited, as prescribed by Google Webmaster guidelines. Your web server should support the "If Modified Since HTTP reader". As Google search the content through the crawlers, therefore, this will help Google in knowing, whether the content is changed since Google last crawled your website. You have to use the Robot.txt file on your web server. This helps in the prevention of crawling of infinite search results by Google and facilitate in relevant search. There is also need to keep the Robot file updated. Robot.txt file becomes necessary, when there are issues in crawling of your website content with server. Your website should be very useful and full of information. The unique and informative content is always searched by users, therefore make sure that content and information shared, give users more value addition. If your article is produced without appropriate use of keywords, then chances of your website being shown in search results become low. The best way is to think and research about the keywords, which users might search and those keywords should be appropriately used in your website. You can use Google Keywords Planner, to have a good research about the keywords. Make sure that your "Title elements and Alt attributes are specific, descriptive and right. These are also important from search engine optimization SEO point of view of a website or blog. It is also recommended that design of your website should be such which ensure conceptual page hierarchy and it should be clear as well. Google searches the most relevant results for images as well. Therefore, it is mandatory to know about the images being used on your website, to ensure that these become searchable by Google crawler. When you are using images on your website or blog, then you must have to provide Google with related and relevant information about those images. You should also use good "alt attribute" for the images, which is necessary to describe the content of the image file and Google will find it and use for search query being made. "Alt attributes" are also important because there are many people, facing the visual impairments or using the screen readers or using low bandwidth connection. These people might not be able to see the images on the internet. The use of descriptive alt attribute for images helps, these people in recognizing the required information. Anchor text is a clickable text on the hyperlink. It is recommended that anchor text used should be relevant to the page which you are linking to. This is necessary because it gives clarity to users, about the text which you are referring to, through Anchor text. Anchor text, More about anchor text etc etc. This is a normal practice to use blue text with underline, to show the anchor text. These can be changed. When using the Anchor text, it should be ensured that keywords are used, so that Google search engine query detect the same, for search results display. It should also be ensured that images used, should have proper description and content on the page, where these images are used or displayed. Like for example, if the content of the page is about "How to loose the weight" and the image of Car is used with .jpg. This will cause confusion for the Google crawler. It is also recommended that images are displayed near the related text. You have to ensure that page assets are crawled by Google crawler. 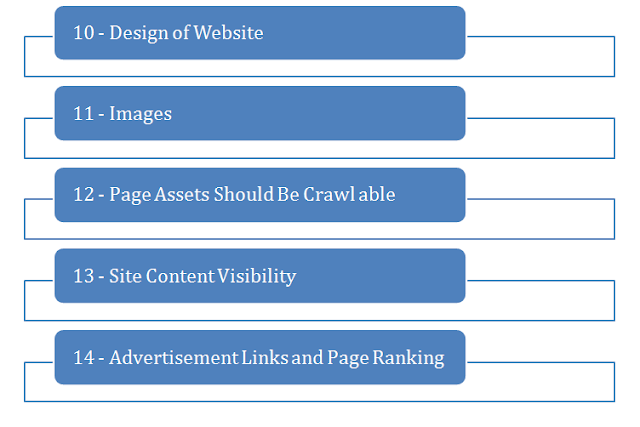 Identify those page assets which are not crawled by Google crawler. You can identify these pages through the Google search console by using the "blocked research report". It is to be ensured that your most important content or information of the website, is visible by default page view. This is to facilitate visitors to get the required information in convenient way. It is to be ensured that the advertisement links which are used on your website, should not have an effect or influence on the page rankings on the search engine results. To avoid this, you have to use the rel="no-follow" or Robot.txt. This will ensure that your advertisement links, will not be crawled or observed by Google crawler. You have to ensure that your website is easy for users to navigate. your website must be user friendly. Proper linking and user engagement is advisable, which will be possible when quality content, relevant and unique information are provided to your users or readers. You have to ensure that all of your links are live web pages. It is also to be ensured that your website is compatible with all the devices such as laptops, desktops, smartphones tablets etc. You can use the tools to test the performance of your website on the mobile phones. You must recognize the fact that users like fast websites from where they can easily and time fetch the required information. This is also advisable by Google and one of the important consideration to rank a website or page in search results of Google. Good page loading time, for mobile and desktop, shows the quality of your website. Google gives it importance, if your website's loading time is good. It is advisable by Google to secure your website through HTTPS, This is to ensure the encryption, during the user and website session. There are various other general consideration and factors necessary for having the Google search ranking for a website or blog. These factors are related to avoiding some acts, which are prohibited. You also need to check the site to ensure that any hacking contents not there.In case such hacking content is found, you must take measures to delete that content,from website. As there is no shortcut to getting the website ranked in Google search results, you must have to give consideration to the factors discussed above. It is important to realize that you are creating your website and pages for the users and not for search engines, so ensure that all necessary and required steps are followed from content to website structure and linking. You must not defraud or cheat your readers and users. 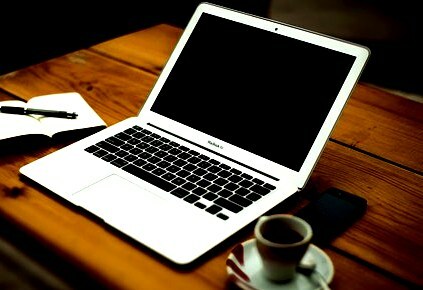 Your focus should be on making your website and its content useful, engaging and unique for the readers. Workout and think before writing and sharing content, as you must have to differentiate your website position, which is in competition with related websites. Try to make your website the challenger brand. If you succeed in making your website a challenger brand, then it will really be easy for you to generate the traffic and get ranking of website or pages on the Google search results.